Enlighten your life with the rays of goodness. Diwali is no longer a festival of just lighting up diyas, making rangolis orbursting firecrackers. Everyone knows the best part of any holiday is the food, and our mothers are getting creative as they cater to these expectations. Many have tweaked their home menus and introduced dishes inspired by the traditional elements of Diwali, while others have presented their own versions of Diwali cuisine. Deepavali or Diwali or the festival of lights is the brightest and most sought after of all Hindu festivals. It spreads over four days when it practically illuminates the entire country with lights and fireworks. It spreads joy and sense of friendship that engulfs friends and rivals alike with a lot of love and goodness. Diwali is celebrated twenty days after Dassera. Diwali is a time for everyone to forget and forgive the wrongs done to them by others. The air is filled with a sense of freedom, festivity and friendliness. Diwali brings about unity and instils charity in the hearts of people. Everyone buys new clothes for the family. Although eating out is popular during Diwali, families mostly prepare food at home ready for guests to pop in to chat, exchange gifts, play cards and watch colourful firework displays. 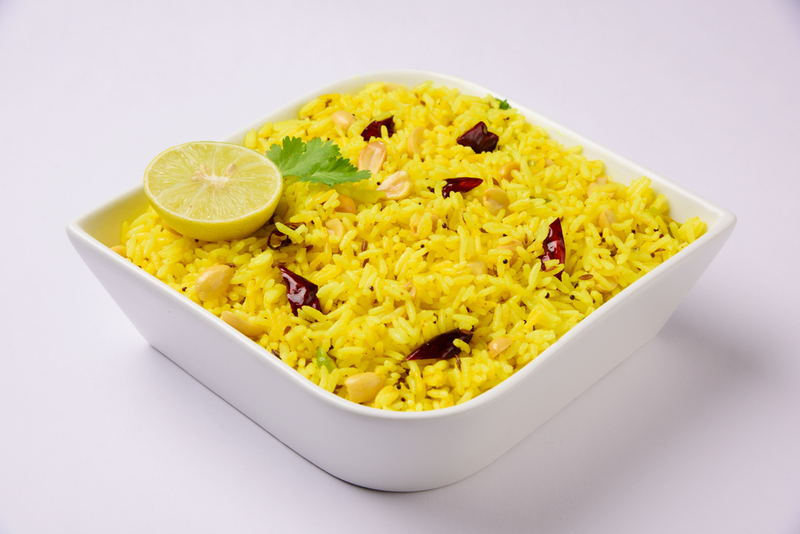 Signature Diwali dish is the biryani and vegetarian specials like tomato rice, turmeric rice, veg pulao etc. To know more about the Diwali specials visit Kitchen Treasures website. We bring you the traditional and authentic Diwali recipes from around India. So dot miss out to take a look into it. When simply asked what is eaten during the five-day festival mainly? The immediate answer is sweets – and plenty of them. 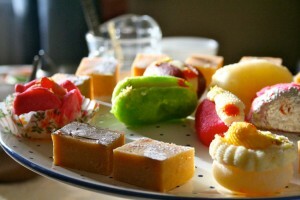 Indian sweet, known as “mithai” are a cross between snack, dessert and confectionery. Chickpea flour, rice flour, semolina, various beans, lentils and grains, squashes, carrots, thickened condensed milk or yoghurt are normally used as base ingredients to which cashew nuts, almonds, pistachios, nuts or raisins are added. Fragrant with sweet spices like cardamom, cinnamon, cloves or nutmeg, they’re further binged up with saffron, rose water or gold leaf. While “Laddoos”, “Barfis”and Halwas like are universally popular, some of other items like “kachori”, “moti pak”and “sohan papdi” are more regional specialities requiring elaborate preparation. It’s customary to exchange extravagantly decorated boxes of mithai, dried fruit, nuts or silver serving dishes with family and friends. Celebrate this festival of lights and crackers with plenty of food and friends. Kitchen Treasures wishes everyone a very Happy Diwali.